KERB are hitting The Bussey Building in Peckham for two nights - Friday 19th July & Friday 2nd August, with 12 streetfood traders, 2 bars, and lots of vibes. Make a date! 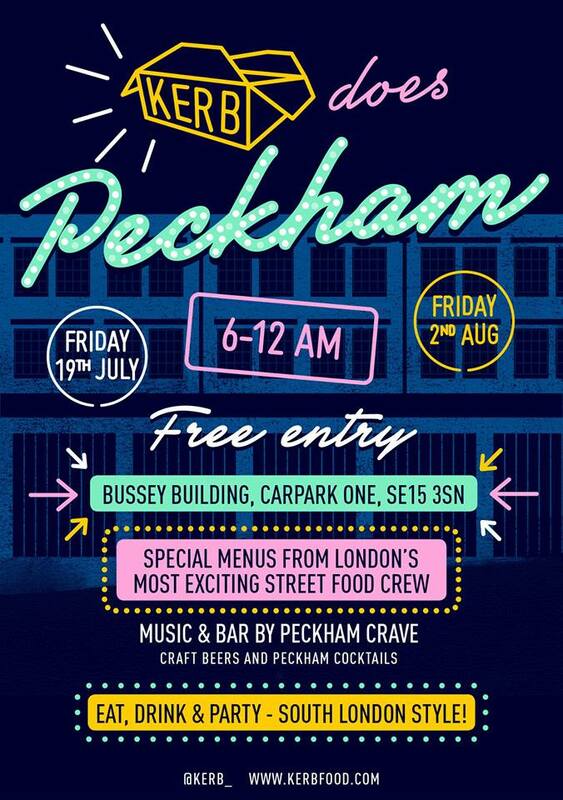 Peckham Crave - are preparing some treats behind the bar and the decks. 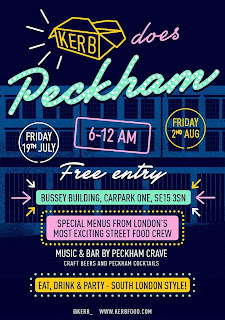 Think Peckham-inspired cocktails, rare South London beer and D I S C O music, all wrapped up in a KERBanist-fringed car park right in the heart of things, just off Rye Lane. Come hungry and with cash - you won't want to get caught short when you see the flavour that the traders are laying on."